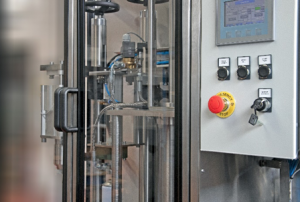 R&R have developed a series of ‘Entry-Level’ semi-automatic Aerosol Machines – where an operator must load and unload the aerosol container, but the process operations are controlled via a small PLC / HMI system. 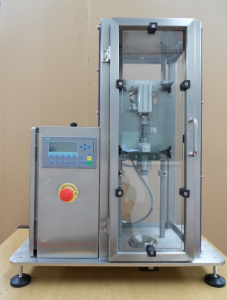 These are similar to manual aerosol filling machines. 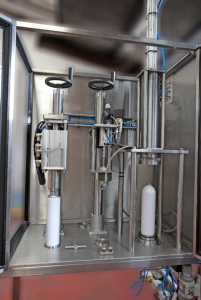 The machines have aerosol single head fillers which compromise of (product filling, crimping, propellant filling, leak detection) or multiple heads, and can be ‘bench’ style or free-standing, depending on the requirements of the Client. 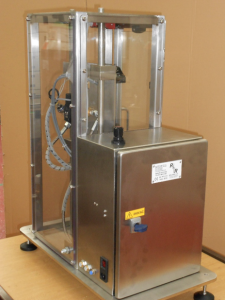 To find out more about our manual aerosol filling machine, including aerosol single head fillers, then please contact us to discuss your requirements.